If you have kids or spend anytime in the kitchen or just simply a sloppy eater, then you are very familiar with tough stains. Whether it is ketchup from a juicy hamburger or a spilled glass of red wine, it is not unusual to cringe and wonder if that outfit is ruined forever. There are no magic tricks here, just some simple steps in how to get rid of stubborn stains. 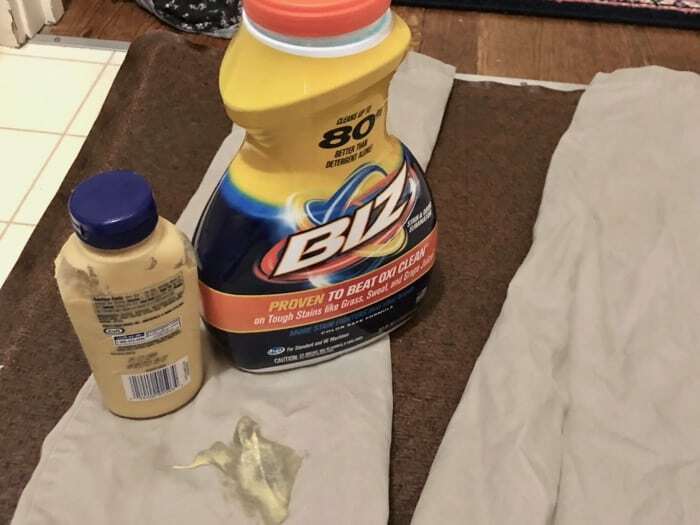 If you are not at home or don’t have access to BIZ Detergent, it is very important to first lightly blot the stain with some water and a clean cloth. Even if you don’t plan on washing the item right away, it is so important to add some BIZ directly to the spot because if you are like me, when you get around to doing that load of laundry you will forget about that stain. Here are the directions from their website: Pre-treat stains directly with BIZ® liquid by wetting the area with warm water and applying Biz. Rub gently and wait 5-10 minutes then wash as usual. If you do forget to pretreat the stain and you notice once it comes out of the wash that is has not gone away, be sure not to put the item in the dryer. This will most likely set the stain forever. 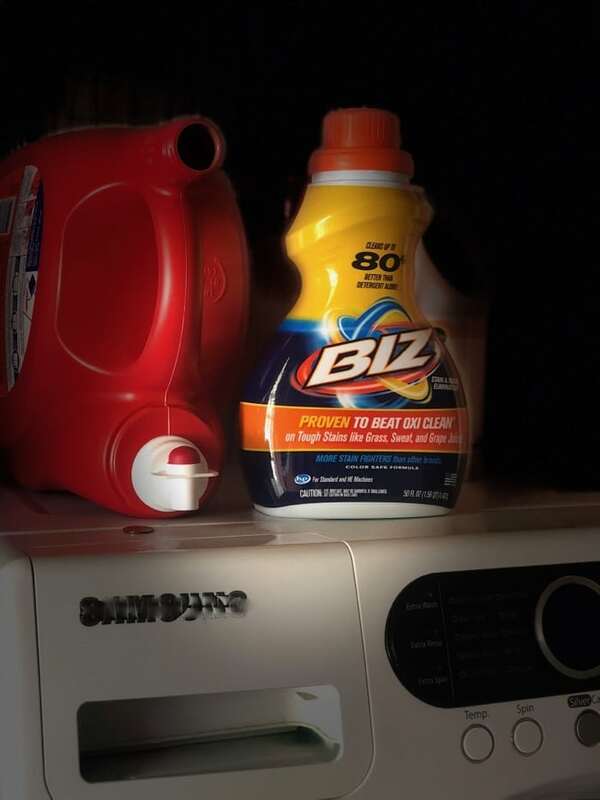 While pretreating stubborn stains is key to getting them out, if you use BIZ Detergent along with your regular detergent you avoid missing stains you did not know where there.